Amanda is most well-known for originating the role of Elphaba in the Australian production of Wicked. For playing the role, Amanda was nominated for Green Room, Helpmann and Sydney Theatre Awards for Best Leading Actress in a Musical. Other theatrical credits in Australia include Aspects of Love (Jenny), Sunset Boulevard (Betty), Les Misérables (Ensemble), The Boy from Oz (Liza), We Will Rock You (Oz, 2004 Helpmann Award), Leader of the Pack (Ellie), Miss Saigon (Ellen), Celebrity Autobiography (Various), An Officer and A Gentleman (Paula), City of Angels (Donna/Oolie) and The Rocky Horror Show (Magenta/Usherette). For The Production Company, Amanda has appeared in Mame, She Loves Me, Guys and Dolls (Sarah), Oklahoma! (Ado Annie) and Anything Goes (Reno). Recently, Amanda appeared in the title role of Evie May (Hayes Theatre Co), a new Australian musical by Hugo Chiarella and Naomi Livingston. On London’s West End, Amanda was in the original cast of We Will Rock You (Dominion Theatre). Amanda also played Ali in Mamma Mia! at the Prince Edward Theatre. Amanda’s TV appearances in the UK include Parkinson, Children in Need and the Queen’s Jubilee Celebration – Party at the Palace with the WWRY cast, and guest roles in Oscar Charlie, Grange Hill and Casualty, all for the BBC. In 2018 Amanda will appear as part of The 100, a musically diverse judging panel, on Channel 7’s new reality singing program All Together Now, hosted by Julia Zemiro and Ronan Keating. In New York, Amanda sang ‘The Wizard and I’ at Carnegie Hall for G’day Australia Week 2009. Amanda can be heard on I Dreamed a Dream – Hit Songs from Broadway, and on Witches, released on ABC Classics. In concert Amanda has performed in Do You Hear the People Sing? in Shanghai and Taipei alongside Lea Salonga and Michael Ball. At the Sydney Opera House she has performed with the Sydney Symphony Orchestra in The Music of Queen and more recently in Witches, again with SSO. Amanda is an accomplished voice actor and has voiced characters in animations Get Ace and Kuu Kuu Harajuku for Ch10. 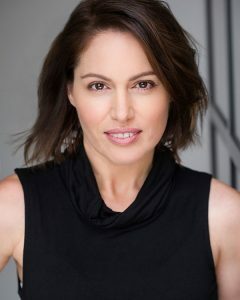 In 2017 Amanda appeared in Cyrens – The Swinging Songbook of Cy Coleman at the Adelaide and Melbourne Cabaret Festivals.